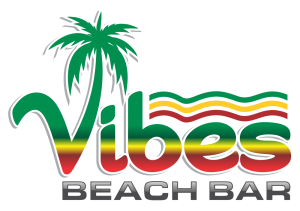 Vibes Beach Bar officially opened on December 4th, 2012 and has certainly become one of the most popular bars on the famous Frigate Bay Strip (De Strip) and by extension in St. Kitts and Nevis being a favorite for locals and visitors alike. Vibes Beach Bar is the perfect balance of fun night life, with the excitement of a sport bar and the elegance of a beach bungalow. Vibes opens daily from 11am until, with exciting nightly themes that brings the beach to life with a variety of live entertainment. The extraordinary bartenders mix popular drinks and are also known to mix up a few signature specials that are uniquely “a taste of the Caribbean”. What differentiates Vibes Beach Bar from all other bars is that it is equipped with large flat screen televisions, a deejay booth, attractive decor, shutters that close to avoid disruptions from weather elements and more! It is no surprise then why Vibes is also the bar of choice for professional athletes and celebrities that visit the island. The modern and chic ambiance provides for a comfortable and relaxing environment. Patrons can admire at the Caribbean sunset for a casual business meeting in the seating space which easily transforms into a dance floor that explodes with energy in the latter part of any given night. The Vibes kitchen is always open! Patrons enjoy some of the modestly priced tasty menu items including signature Vibes burgers, conch fritters, the very popular Vibes Wings. Vibes Beach Bar is the first and only bar to have a Mobile App which is compatible for iOS and android phone users and enhances the “Vibes Experience”. Vibes patrons enjoy being able to make music video selections, placing food orders, access exclusive App discounts and more.